• You start with a smart interface that senses what you intend to do and protects you from unwanted actions. This includes automatic picking and automatic guides that assist you in drawing accurately. • A Reshape tool that, by capitalizing on real time Boolean operations, offers more sculpting actions that produce robust solid models that can easily be fabricated. 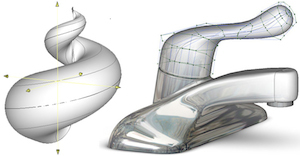 • Powerful formula tools create complex curves and surfaces based on mathematical formulas with ease. The included predefined library of shapes is a launching point for a whole new method of form creation. • Components are enhanced symbols that include the ability to edit the component directly where it is placed. Components are also embedded in project’s making them less dependant on external library files. • The complete interface and the tool palettes are fully customizable, including the newly introduced favorites palette, where you may place the tools you use frequently for instant access. • Newly introduced workspaces group related tools and palettes together making it easy to switch between tasks. User defined workspaces allow for creation of custom workspaces. • The traditional form•Z drafting and modeling environments found in previous versions have been merged combining the power of both in a unified environment. 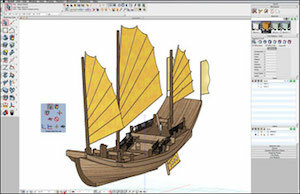 This powerful combi-nation yields long desired features such as dimensions, hatching and line styles to 3D. 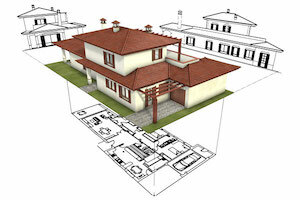 • Layout sheets can be used to compose different views of a model and/or sections and/ or construction details together with notes and dimensions and have it printed to send to the construction site. • The modeling interface has been enhanced with a new shaded working environment. Traditional wire frame, hidden line, shaded full and doodle rendering are included. 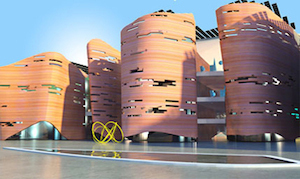 Photorealistic, global Illumination and sketch rendering is available with the optional RenderZone plugin. • The new Sun Palette enables the quick evaluation of natural light in a building on any given day or time. Quickly create animation of the sun light through a day or an entire year. • Present your designs interactively on line with the new VR creation features. 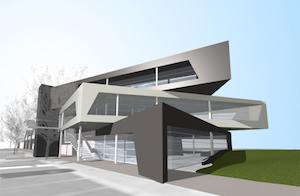 These allow you to create web ready interactive panoramic and 360 object movies of your design. • Interoperability, a traditional strength of form•Z, has further been enhanced with updated translators and a new Rhino import feature.